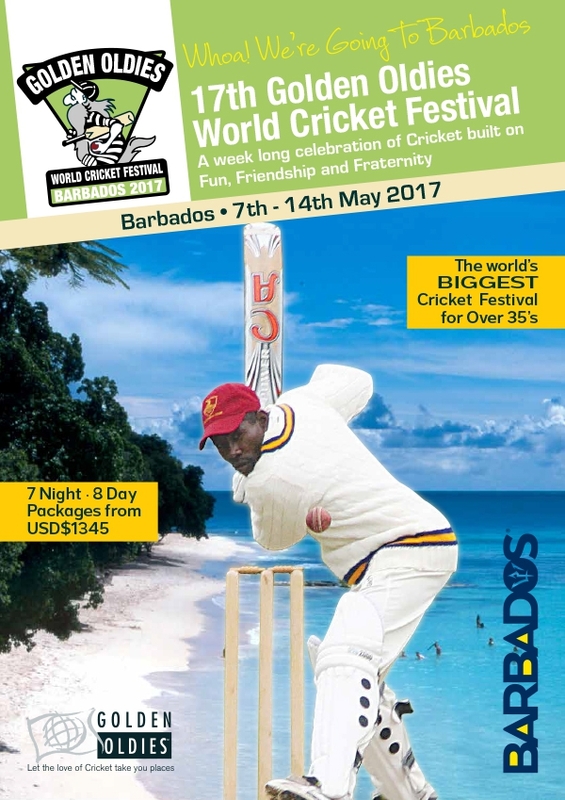 Barbados will play host to the 2017 Golden Oldies World Cricket Festival - a week long celebration of Cricket built on Fun, Friendship and Fraternity. This Festival will take place from 7th to 14th May and will be the world's biggest cricket vets festival for over 35s through to 70s+. For more information please visit the website at: www.govsl.com/goldenoldies.